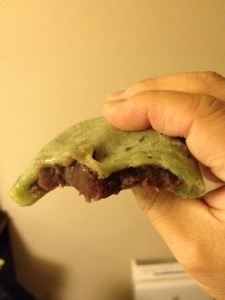 The manju has been …………Oishi desu ne. I’ve been eating lots. They can be found at either our main store, Peacock, 7 Eleven or Family Mart.